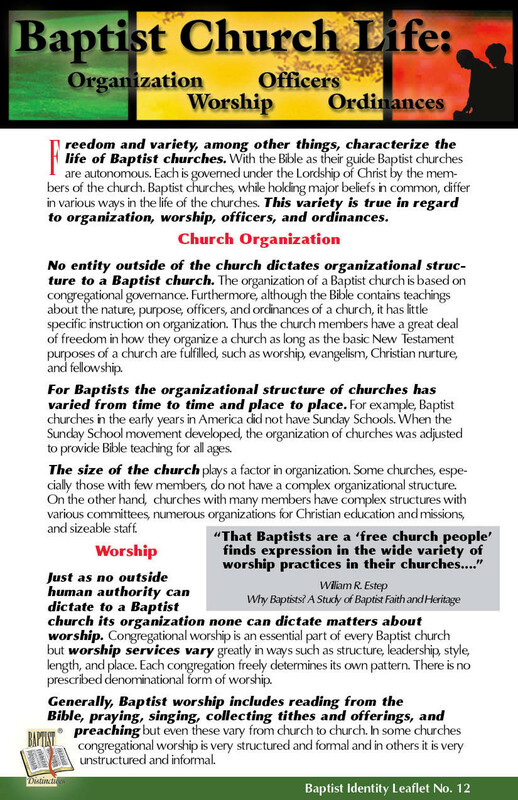 The following are organizations that have materials available on Baptist beliefs, polity, history, and organization. 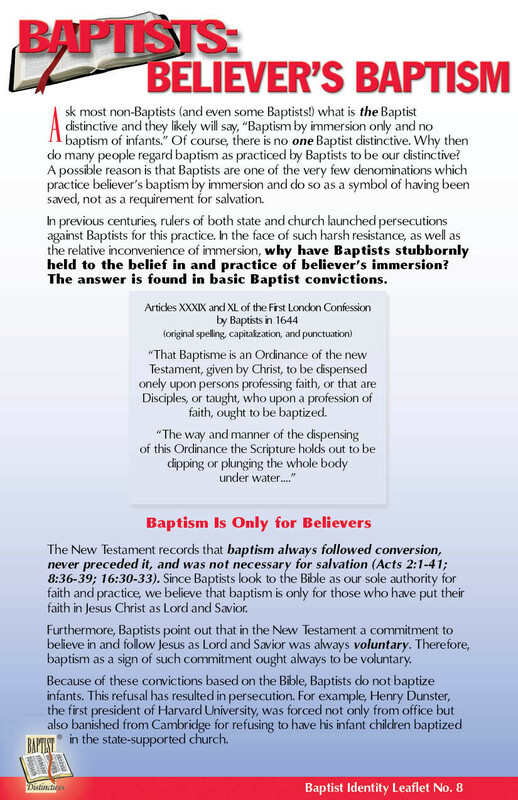 This website is intended to provide sources for further study on Baptists. However, it is not intended as an endorsement in any way of the following sources. 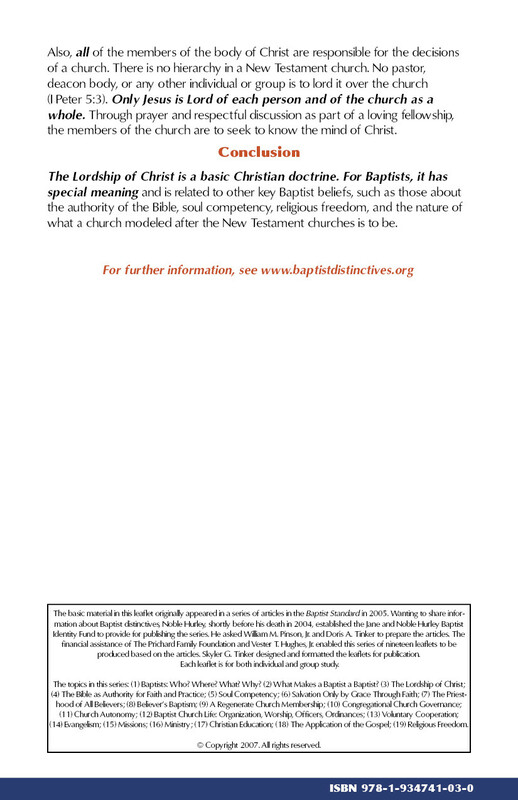 This is not a comprehensive listing of sources for information on Baptists, but links from the websites of the organizations listed will provide access to many available sources. The data in each listing is subject to change by that entity; if you discover data that needs correcting or updating, please contact us. 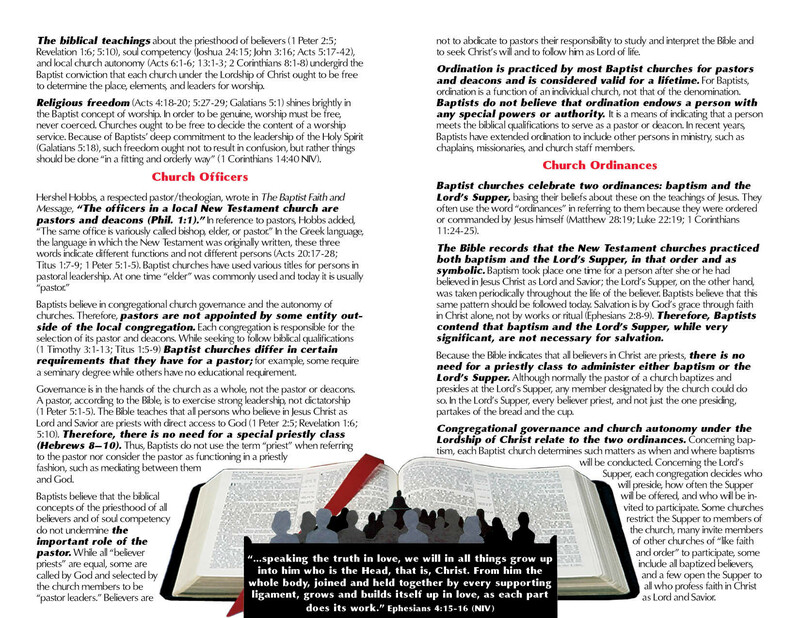 For information on various Baptist groups in the United States, including addresses and websites, see the most recent edition of Mead, Frank, Samuel S. Hill, Craig Atwood Handbook of Denominations in the United States. Nashville: Abingdon Press. A vast collection of Baptist documents, books, and materials with a focus on the American Baptist Churches-USA and its predecessors. This website is sponsored by the Association of Librarians and Archivists at Baptist Institutions (ALABI) to provide researchers a one-stop location to digital Baptist resources and basic information on Baptists and Baptist history. An ALABI committee is assigned the responsibility of recommending additions, updates, and changes to the website. It contains an extensive list of links to resources. Contact for list of materials, such as books, Bible study materials, and Internet materials. Material on early Baptists in England as well as current information. Contact for catalogue of available books, pamphlets, and other resource materials. This is a source of copies of hundreds of original Baptist documents. Google Books has digitized many old Baptist books, magazines, and commentaries that can be viewed and searched or downloaded. 200 Maryland Ave. N. E.
Contact for materials on religious liberty and separation of church and state. Contact for catalogue or see website for listing of materials, including many reprints of out-of-print books on various subjects related to Baptist doctrine and polity. Provides opportunities for faculty and student research in Baptist studies and develops a repository of Baptist sources for those researching Baptist heritage. 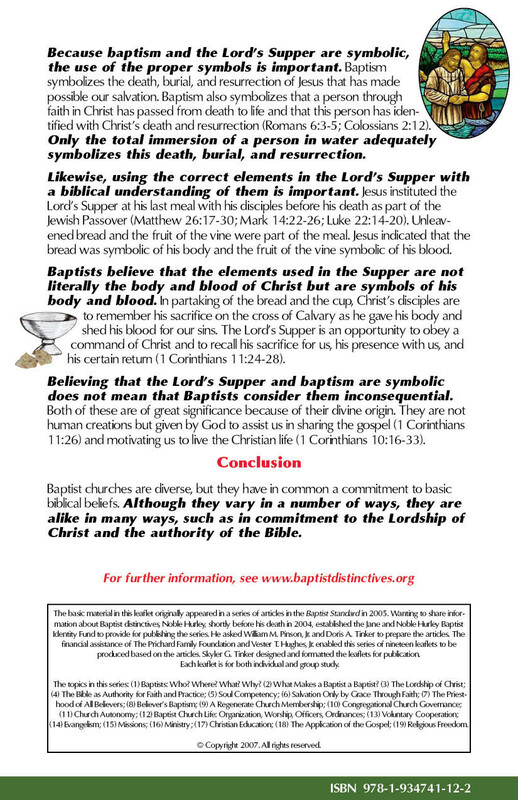 Is a very helpful website with extensive information on Baptist resources. Information on Baptists in Great Britain. Contact for materials and information about the Baptist World Alliance and about various Baptist groups throughout the world. Houses collection of early Baptist materials in America, sponsors conferences,produces materials on Baptist heritage and beliefs. 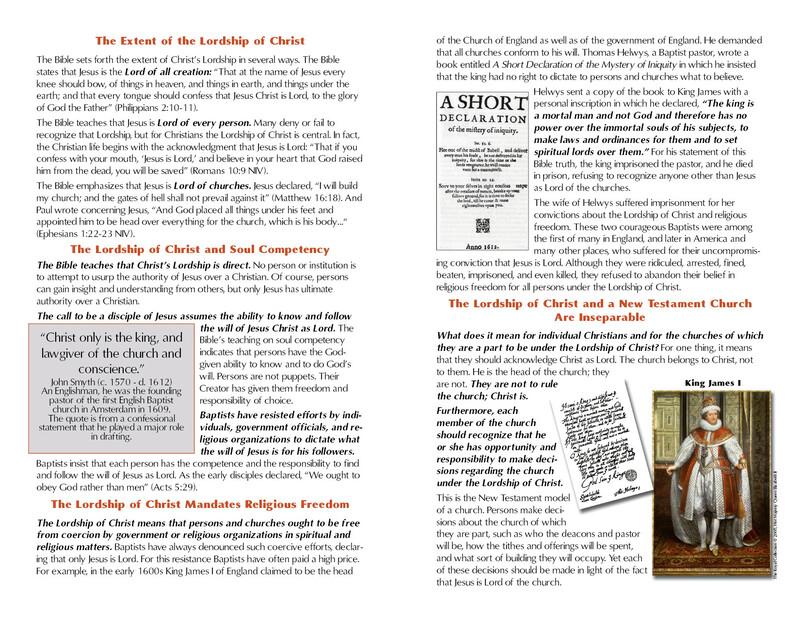 Produces an extensive amount of material on Baptist history, doctrine, and polity. Information on Baptist colleges, universities, Bible colleges, and seminaries, primarily located in the United States. 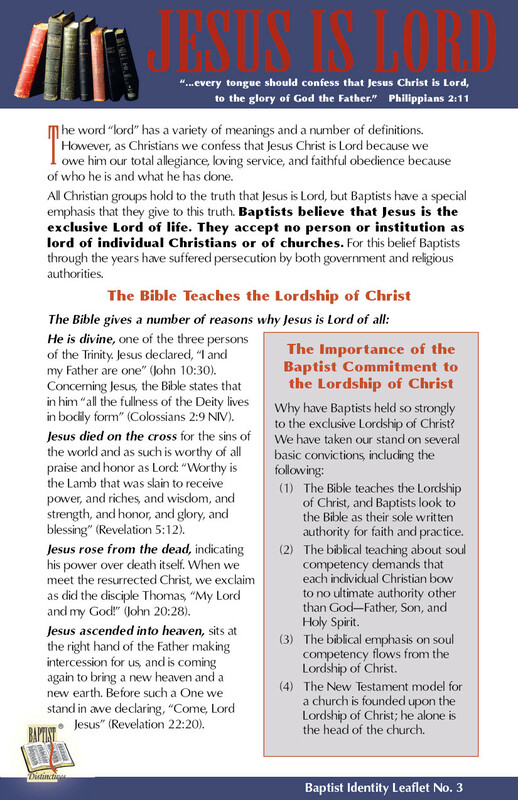 Contact for catalogue on resources on Baptists with a focus on American Baptists. Contact for information about books on Baptists with a focus on Southern Baptists. Contact for information from a General Baptist or Free Will Baptists perspective. Archival material available on Baptists, primarily focused on mid-America region. 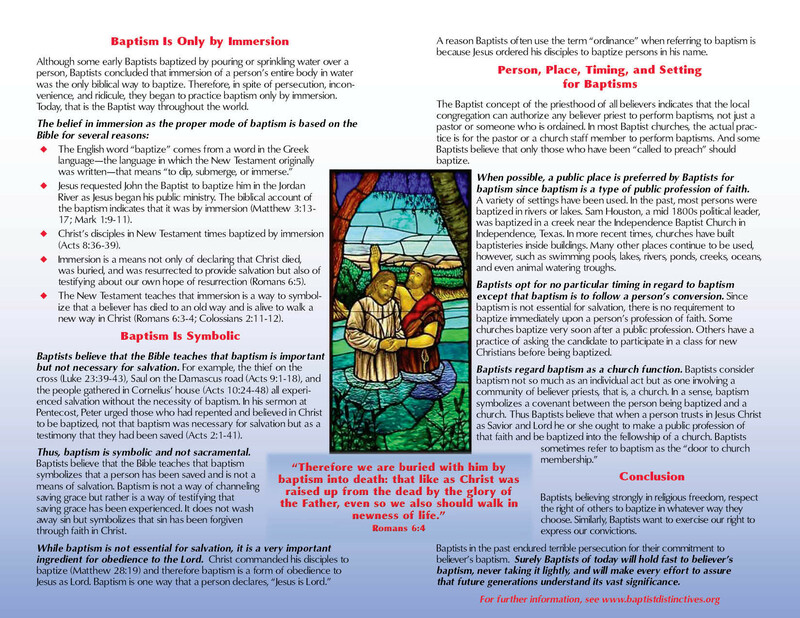 A website with extensive materials on Baptists including a Baptist timeline and	copies of Baptist confessional statements; emphasizes reformed theology. Extensive material related to Black Baptists with numerous books on history. 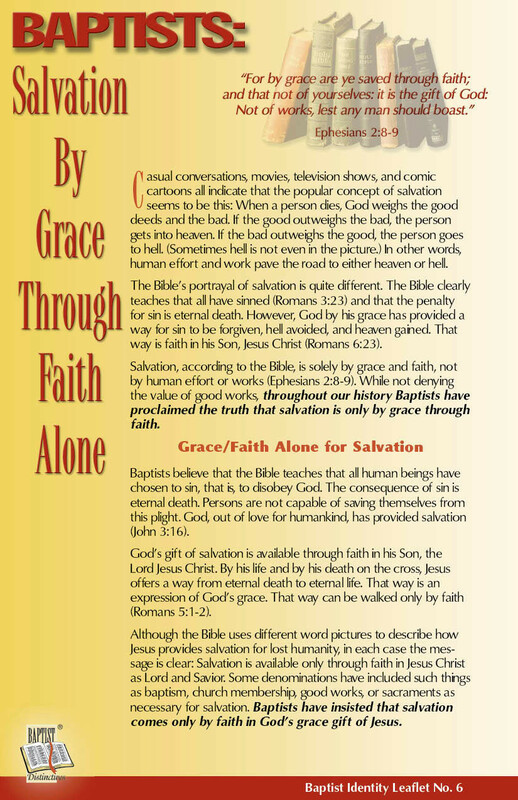 Provides literature for Baptists, some of which is historical and doctrinal. Provides contact information for all Baptist state conventions and associations in cooperation with the Southern Baptist Convention. Extensive collection of archival materials with a focus on Southern Baptists. Contains an extensive list of links to organizations and institutions with resources on Baptists. 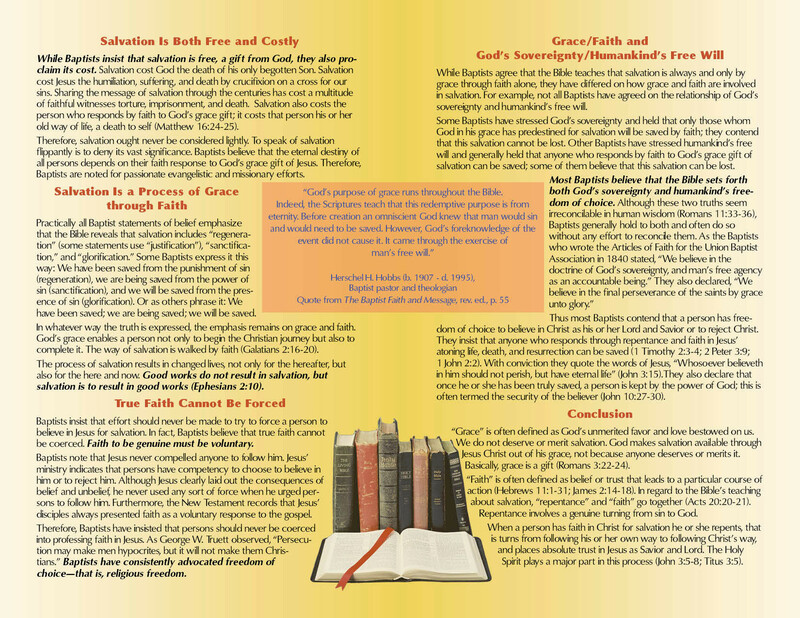 Produces various materials on Baptist distinctives.